Thanksgiving already? Time flies. 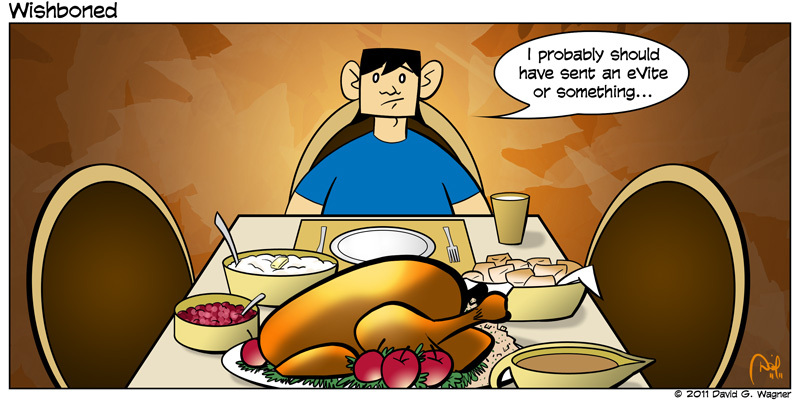 Doug forgot to invite anybody to his Thanksgiving dinner but that probably won’t stop him from eating it all.